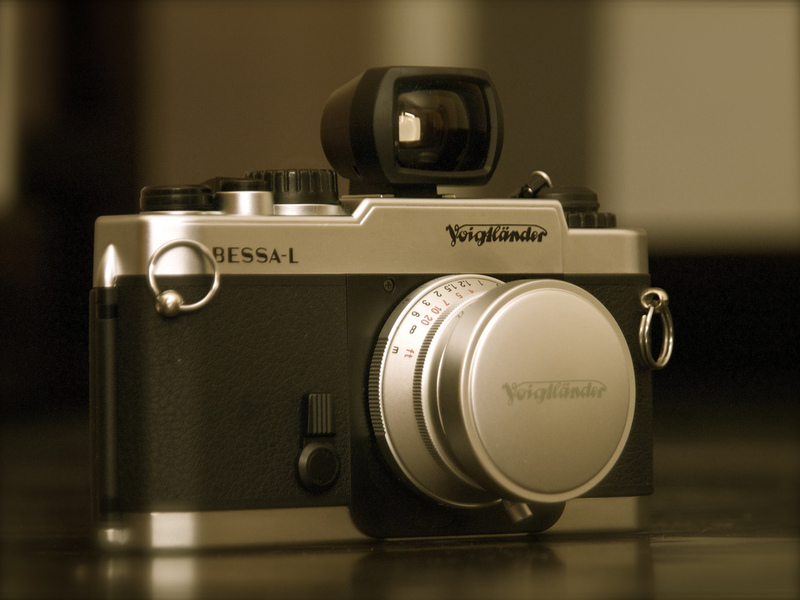 The Bessa-L is a finderless body with a Leica screw mount. It has TTL metering with LED readout on the back edge of the top plate with an ASA range of 25-1600 and an EV range 1 to 19 at ASA 100. The readout consists of two red arrows pointing to a green light in between.